Every time I pass by one of Lisa Kranichfeld’s paintings at M2 Gallery I just stop, stare and wonder when I can have one of these pieces for myself. 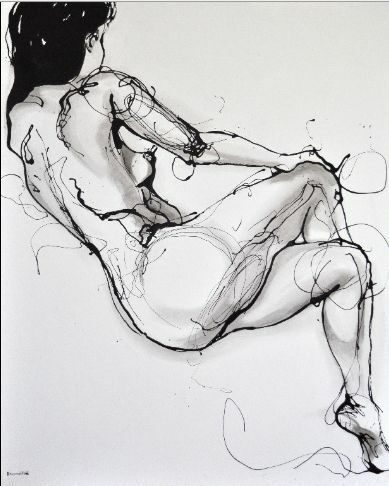 Known for her black and white nudes, Kranichfeld studied art in Colorado Springs but now resides in Little Rock as a full time middle school teacher at E-STEM. I recently put one of her pieces in a clients home at the entry of the master suite. 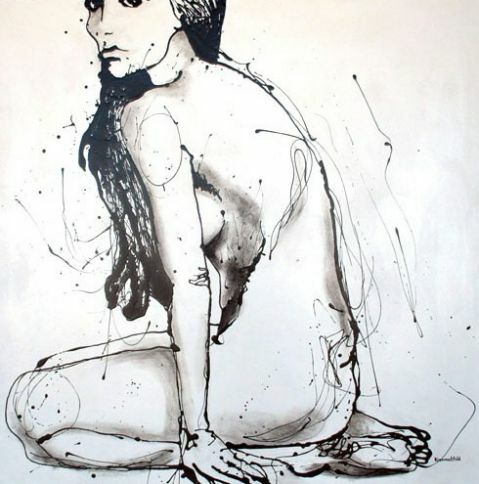 Most of her work is pretty large and is sure to make a bold statement almost anywhere. Go check out the rest of her collection at M2 Gallery in Little Rock. 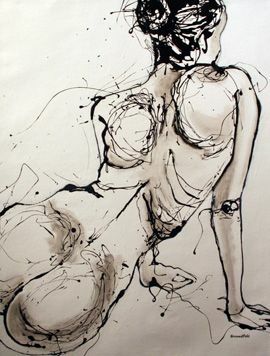 This entry was posted in Art and tagged art, Georgia James Creative, m2 gallery. Bookmark the permalink. OMG that is so wierd! i just saw these in carrie’s salon at Scarlet! I love them!